As far as the product itself, I’d say it was a success in that the videos looked and sounded as good as any of the online shows I aspired to be, with production values that rivaled network television. They were only moderately successful, however, in terms of building an audience, with views per video averaging between 30-100 and only a handful of the most popular garnering several thousand views. As far as the product itself, I’d say it was a success in that the videos looked and sounded as good as any of the online shows I aspired to be, with production values that rivaled network television. Production of each video took about 6 hours – between writing the script, shooting the video, postproduction and uploading – and somewhere along the line, I started to question the number of hours I was putting into the project. Every now and then something would come along that would re-ignite the creative spark and encourage me to continue, but eventually I stopped making the videos and the website became a place where I was only posting articles and press releases submitted by other people. And that’s exactly where we are today. 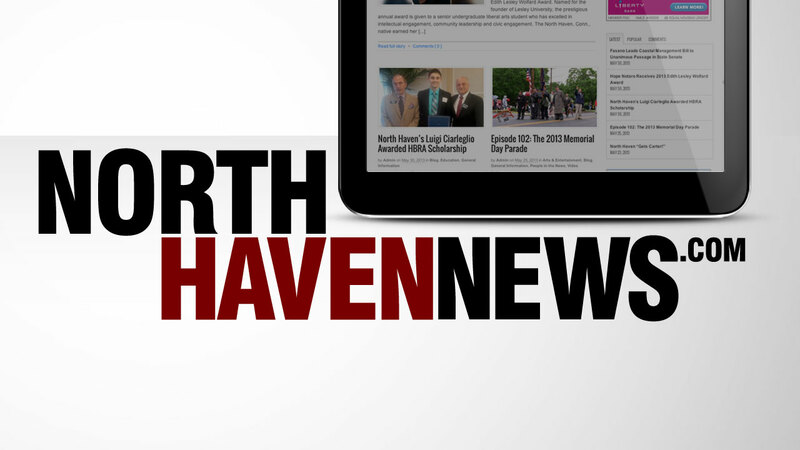 Compared to the other three North Haven news publications’ website, I think mine has several advantages – it looks nicer (IMHO), it’s more nimble (meaning I seem to be able to post things to the site much more quickly), it’s responsive (meaning it will reformat itself depending on what device you’re looking at it on) and – let’s face it – I have the best URL. What my site doesn’t have – except on the rare occasion – is original reporting. I’m simply not in a position to run around town conducting interviews and gathering information to write my own stories. My videos – even though they relied on information from the newspapers – were at least original content that you couldn’t find anywhere else, and now that I’ve gotten away from those, I often find myself again questioning any time I put into maintaining the website.